Homeowners insurance companies handled 1,325 such cases in 2016, a figure that’s second only to California. The per-claim average — $37,339 — was also one of the highest in the country. 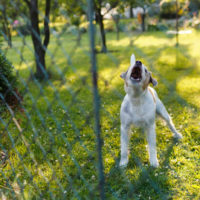 Overall, homeowners insurance companies paid over $660 million in dog bite claims during 2016 alone, accounting for far more than a third of claims volume. New York, Pennsylvania, and Texas rounded out the top five in terms of claims volume; at $55,671, the Empire State had the largest per-claim average dollar value. Overall, the cost per claim has increased 70 percent since 2003, largely because of skyrocketing medical costs. One reason the claims volume is so high in the Sunshine State is that Florida is a strict liability state that holds animal owners for all injuries they inflict “regardless of the former viciousness of the dog or the owners’ knowledge of such viciousness.” Owners are responsible for both economic losses, such as medical bills, and noneconomic losses, such as pain and suffering. Many animal attack victims also suffer from Post Traumatic Stress Disorder, and the owner is liable for these damages as well. Negligence Per Se: Negligence “as such” usually applies if the dog was not behind a fence or restrained on a leash. Scienter: This word is Latin for “knowledge,” so non-owners are liable for damages if they know that the animals in their care are potentially dangerous. Negligence: If a third party’s behavior falls below the standard of care (e.g. allowing children to play near a stray or unknown dog), that third party may be negligent and therefore liable for damages. In strict liability cases against the owner, victims usually only have to prove cause; in the other kinds of cases, victim/plaintiffs must establish additional elements, such as breach of duty, to obtain compensation. Contributory negligence, in the form of provocation, is a very common defense in these cases. The defense is unavailable as a matter of law if the victim was under six years old. If the victim was older, provocation means more than simply walking past the dog, making a sudden movement, or even verbally teasing the animal. Instead, the insurance company must establish that the victim inflicted physical pain on the animal to the extent that it reacted violently. Florida is a pure comparative fault state, so the judge apportions damages in these cases based simply on the percentage of fault. So if the jury determines that the victim was 40 percent responsible for the attack, the victim would receive 40 percent of the total damage amount. The dog bite law also contains a provision related to assumption of the risk. If the attack occurred on the owner’s property, the owner posted a “Beware Of Dog” sign, and the victim had actual knowledge (i.e. could see, read, and understand the sign), the owner is not negligent. Animal attacks and dog bites usually cause serious injuries. 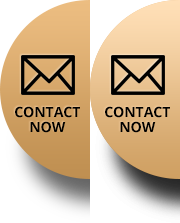 For a free consultation with an experienced personal injury lawyer in Port St. Lucie, contact Eighmie Law Firm, P.A. Home and hospital visits are available.